Mr Okada is one of Nigeria’s fastest growing mobile games, made for Nigerians, by a Nigerian; with a world-class appeal. The game is basically about an Okada man (motorbike driver) on a mission to achieve his dreams. Something similar to the story of most Nigerians at the lower-class level, Mr Okada is a hard working hustler who has taken on several jobs to make ends meet. He started off as a mechanic and eventually saved enough money to purchase an Okada (motorbike) to add to his monthly income. Toks Asher is a renowned artist manager, writer & PR strategist. He’s a brand ambassador of Mr Okada and also features in the game. The BuzzNigeria crew were lucky to have caught up with Toks off his very busy schedule and he was kind enough to explain to us more on the game and the brains behind it. BisonPlay is a game and media development company with a firm grip on technology to develop the best design solutions. They currently focus on App development, creating totally breath-taking websites and developing brand identities. BisonPlay is a company with over 20 years of combined experience and a forward thinking approach. They focus on innovative ways to engage various target market. The company is duo headed by a Nigerian developer Tobias and Dave the designer; they met when working for digital PR firm Silicon Valley in London. 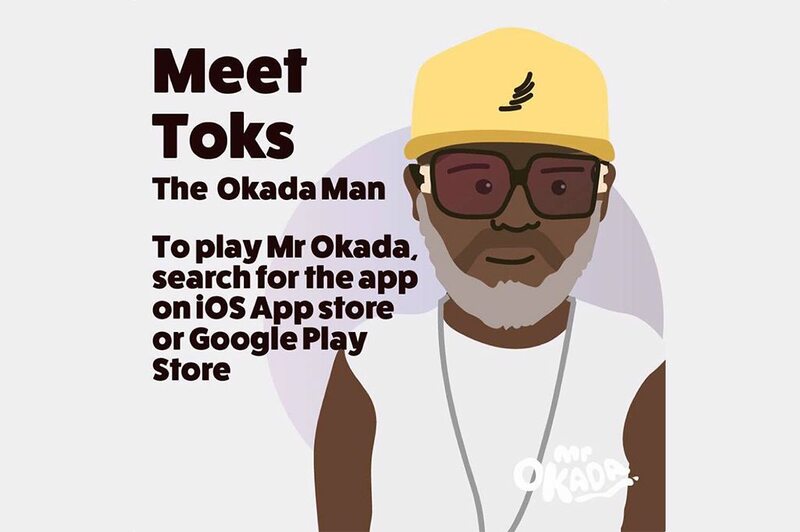 Mr Okada is designed around the life of an aspiring music artist who has to make money to fund his dreams (something Toks is very familiar about, as he sometimes gets to manage upcoming artists with little or no resources). Mr Okada gives us an experience of the hustle running around the streets of Lagos driving an Okada, picking up passengers and trying to make that extra money. Swipe up and down to move lanes. Pick up passengers waiting for a ride to earn points. Pick up a boost and tap to use.